Wave is crafted from nickel-plated metal, with four glass tea light holders or alternatively four candle plates resting on it. The metallic brilliance and soft waves attract everyone’s attention. It can also be used as a beautiful advent wreath. 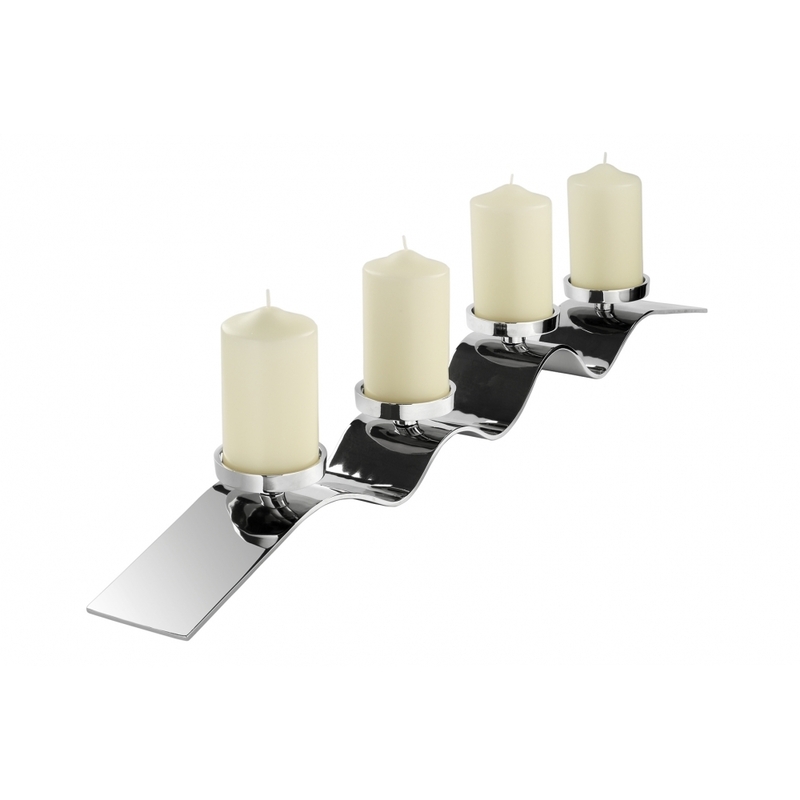 The candle holder is available in three sizes, priced here for the largest.